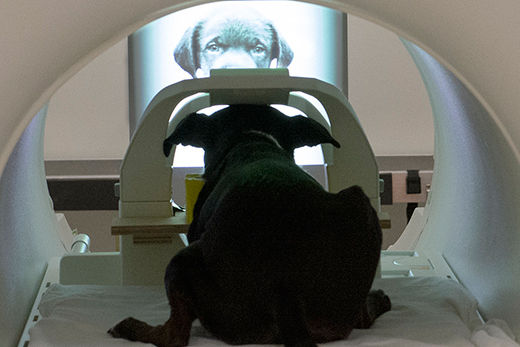 The dogs were trained to view both video images and static images on a screen while undergoing fMRI. Photo by Gregory Berns. Dogs have a specialized region in their brains for processing faces, a new study finds. PeerJ published the research, which provides the first evidence for a face-selective region in the temporal cortex of dogs.